Editor’s Note: Every year, the U.S. Department of State designs a report on human rights record of other countries, presenting favorable conditions among those who cooperate with U.S. foreign policies and damning those countries who are “uncooperative”. In the meantime, the U.S. government and it’s compliant corporate media present the U.S. as a model of democracy where civil and human rights are honored. Their annual reports consistently portray China as having one of the worst human rights records on the planet. In response, China has issued its first annual report on the human rights record of the United States. The full text follows. Talking with Activist Howard Zinn + The People’s Historian Speaks! Recently declassified documents obtained by investigators Jeremy Bigwood and Eva Golinger reveal that the US Agency for International Development USAID has invested more than $97 million in “decentralization” and “regional autonomy” projects and opposition political parties in Bolivia since 2002. The documents, requested under the Freedom of Information Act FOIA, evidence that USAID in Bolivia was the “first donor to support departmental governments” and “decentralization programs” in the country, proving that the US agency has been one of the principal funders and fomenters of the separatist projects promoted by regional governments in Eastern Bolivia. The documents confirm that USAID has been managing approximately $85 million annually in Bolivia during the past few years, divided amongst programs related to security, democracy, economic growth and human investment. The Democracy Program is focused on a series of priorities, the first outlined as “Decentralized democratic governments: departmental governments and municipalities”. One document, classified as “sensitive”, explains that this particular program began when USAID=2 0established an Office for Transition Initiatives (OTI) en Bolivia during 2004. The OTIs are a division of USAID that function as rapid response teams to political crises in countries strategically important to US interests. The OTI only address political issues, despite USAID’s principal mission dedicated to humanitarian aid and development assistance, and they generally have access to large amounts of liquid funds in order to quickly and efficiently achieve their objectives. 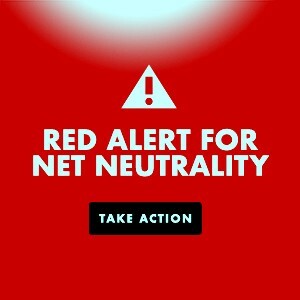 The OTI operate as intelligence agencies due to their relative secrecy and filtering mechanism that involves large contracts given to US companies to operate temporary offices in nations where OTI requires channeling millions of dollars to political parties and NGOs that work in favor of Washington’s agenda. After the failed coup d’etat against President Chávez in April 2002, USAID set up an OTI in Venezuela two months later, in June 2002, with a budget over $10 million for its first two years. Since then, the OTI has filtered more than $50 million through five US entities that set up shop in Caracas subsequently, reaching more than 450 NGOs, political parties and programs that support the opposition to President Chávez. A Russian scholar, who had earlier predicted the collapse of the US, has offered President Barack Obama ways to prevent such a misfortune. Former KGB analyst and Russian academic Igor Panarin, who has predicted the country’s 2010 disintegration on the back of mass immigration, economic decline, and moral degradation, insisted in a Monday interview that a revisited foreign policy may more than anything prevent the fall of the United States. “I would, in the first place, suggest that he radically reduce the US foreign policy activities, especially in the Eurasian space,” Panarin said speaking to Russia Today. The results of the research conducted by Pew Center further indicated on Monday that America’s prison population has skyrocketed over the past quarter century. In 1982, 1 in 77 adults were in the correctional system in one form or another, totaling 2.2 million people. Most of those in the US corrections system — one in 45 — are already on probation or parole, with one in 100 in prison or jail, the Pew study found. A study released this week by the Pew Center on the States delivers a staggering statistic: 7.3 million Americans-or 1 in every 31 adults-are in the nation’s prison system. This figure includes those in US jails and prisons, on parole, on probation, or under other forms of correctional supervision. No other country comes close to matching this number. If these individuals were grouped together, they would number more than the entire populations of Israel or Honduras, or all of the residents of Washington state. The new study “One in 31: The Long Reach of American Corrections,” follows a study by the Pew Center last year that found the US leading the world in the rate at which it puts its people behind bars: 1 in 100, or 2.3 million people. In both raw figures and as a percentage of the population, the US is the world leader in the rate at which it puts its people behind bars. A new report using state-by-state data says a record 2,319,258 Americans were in jail or prison at the start of 2008—one out of every 99.1 adults. The report by the Pew Center on the States also documents record increases in financial outlays for incarceration, with the 50 US states spending more than $49 billion on prisons last year, almost five times more than the $11 billion spent 20 years ago. via Press TV – US plans massive arms delivery to Israel. Take Action: Enforce UN Security Council Resolution 1860 Now! NEW DELHI — Indian officials released the names and hometowns of all 10 suspected Mumbai attackers Tuesday, saying it has pinpointed them even to individual postal codes within Pakistan. With the disclosure, India is continuing to ratchet up pressure on Pakistan, apparently hoping that strong evidence will compel the international community to take a hard line against its neighbor. Officials within Pakistan, including President Asif Ali Zardari, had previously cast doubt on India’s assertions that the terrorists who ran amok in Mumbai for three days last month were Pakistani. Tuesday’s announcement, including photos of nine of the 10, is intended to prove Indian claims beyond cavil. via McClatchy Washington Bureau | 12/09/2008 | India discloses hometowns, names of alleged Mumbai killers. New Delhi: Dismissing reports that Pakistan had decided to hand him over to Indian authorities in connection with the investigations into last week’s Terror attacks in Mumbai, former ISI chief General Hamid Gul on Sunday such reports were being “planted” by the United States to malign him. “As far as I know, neither has the Indian Government asked Pakistan to hand me over to them nor has the Pakistan Government agreed to do any such thing,” General Gul, who served as director-general of the ISI between 1987 and 1989, told The Indian Express. via Reports planted by US, says former ISI chief. 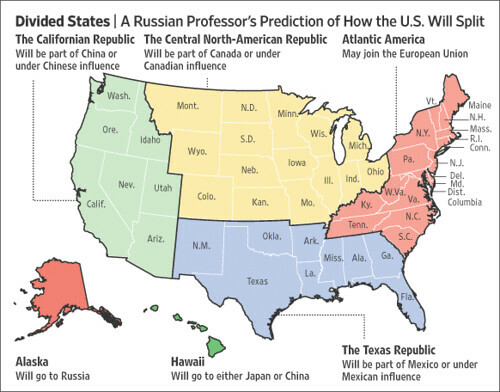 via RIA Novosti – World – Russian analyst predicts decline and breakup of U.S. The break-up of America into six pieces? Alaska joining the Russian Federation? Will Russia survive the crisis? Igor Panarin, a Russian professor of economics, discusses these questions when he dropped by the RT studio on Thursday. CNN talks to Prof. Igor Panarin who theorizes that by 2010 the United States will fracture.